Inspired by culture, mythology and traditional symbols of luck, our Cultural Blessings Collection of gold ornaments lets you convey your very best wishes. 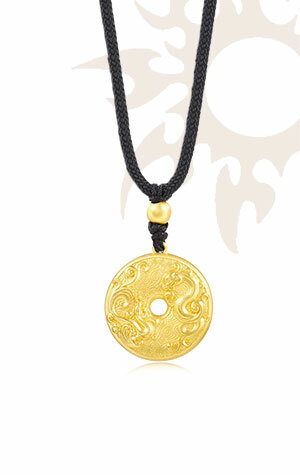 succeeded this heritage by utilising the electroforming technique to create jewellery with delicate matte surface, paying tribute to Chinese tradition and mastery, as well as exuding an air of Oriental charm. Extending our horizon to histories and cultural legends around the world, we designed exquisite treasures that are dazzling and sophisticated. These fashionable accessories bear a Mahayana Buddhist mantra that is believed to purify the mind and lead to enlightenment. known as "snowbaby" -- a kind of flower that grows on high altitudes, thus symbolizes humans' anticipation and sentiments for happiness and luck. Each Chinese zodiac sign has its own Natal Buddha, representing its spiritual connection with Gautama Buddha. Inspired by such divine blessings, this collection of gold jewellery brings boundless fortunes to you every day.